This adorable classic chair is the perfect present for your 3 to 7 year old child. The classic chevron pattern is youthful and fun, adding to any room decor. This is a gift to be cherished and used daily for playing, reading and resting. Your little one will love it! SANTA's FAVORITE! ~And he knows his stuff! 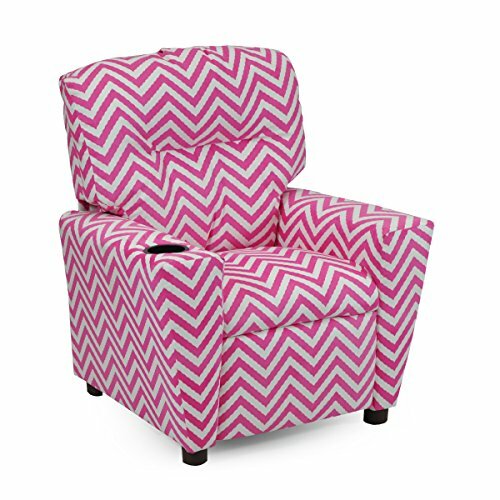 This super cute chair features a classic chevron fabric that both you and your child will love! SUCH A GREAT CHAIR ~ This pattern is so fun, youthful and vibrant...yet not as "loud" as a character print so it blends really well with a child's bedroom or playroom decor. GREAT HOLIDAY GIFT IDEA! Whether as a present for your child or grandchild, this chair will be used DAILY for playing and reading.